Man, I was so freaking wrong! 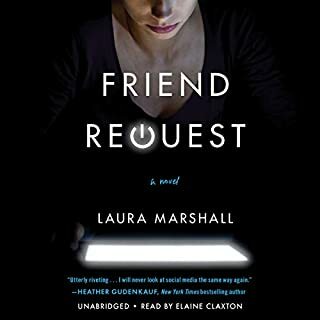 This Friend Request, by Laura Marshall <https://www.goodreads.com/author/show/16610695.Laura_Marshall>, and the movie Friend Request were not the same friend request! I was so darn wrong, but was I disappointed by the book- that's the question, yeah? I am so happy to say, I was very pleased. It's about Louise, a woman tormented by her high school, ignorance mistakes. The need to be adored and part of the In-Crowd placed her in a situation many readers could probably relate to. Sadly, Louise's ended with a tragedy... So first, I loved their accents- it was so freaking British, and you know me! I couldn't find much on the author herself, but I really walked away from the book, satisfied. I can't believe I have to wait till March 2018! 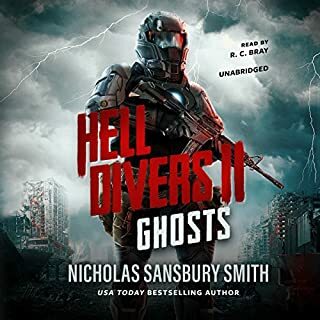 If you could sum up Hell Divers II: Ghosts in three words, what would they be? There's too much to nit-pick. The entire story was amazing, from the characters to the creatures after them. Bray's voice was great, but needed a bit more inflection from time to time. He's got a fantastic voice and it never bored me. When it was confirmed about something I can not state, due to offering up spoilers! I'll be adding a full review to my website very soon. 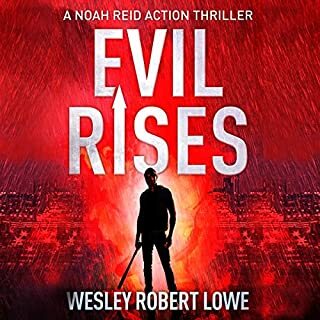 This book is action packed and never a dull moment! 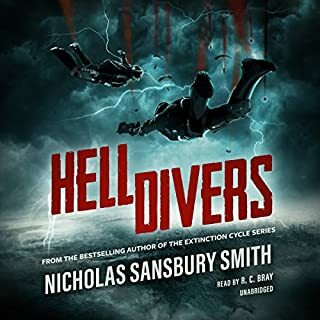 Hell Divers III: Deliverance releases in March 2018. 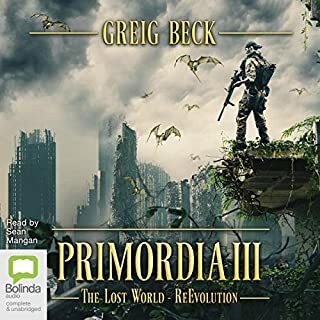 I've got my pre-order! 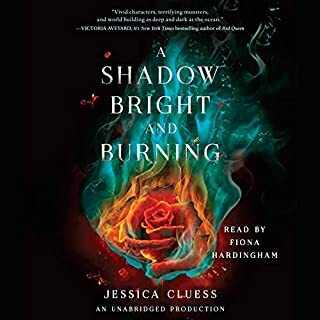 I have a full review coming later, but I just had to say that this book was amazing. The story was salad the monsters were crazy cool and horrific, and lastly the hero was second to none. What did you love best about Red Sands? The story itself is amazing. Short stories like this just made the series more enjoyable. 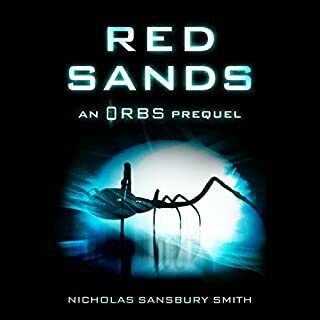 What other book might you compare Red Sands to and why? None. It was an original tale. His voice was fine and easy to listen to. 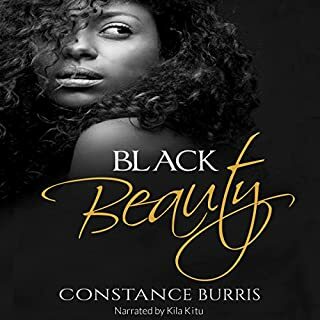 Though written in very proper English, taking from the realism of young adults today, Black Beauty is an exceptional read. The story was of great imagination and the characters were both likable and enjoyable. Since it's a series, I'm hoping the ominous, thrill of the unimaginable reigns enough for me to read more by Burris. I'd recommend this to my friends who love movies like Kill Bill, and the tv show Into The Badlands. There was a lot of action, coming from the Mob Boss perspective. I wasn't really able to form a relationship to the characters to develop a favorite. Not because it wasn't a good story, but because it was a short story. There really wasn't time, with three lead characters to keep up with. The narrator was the only issue I had. His voice didn't do the story much justice. Someone else needs to read it. Yes, I listened to this story all in one sitting. I was on a short, road trip and it fit near perfectly. 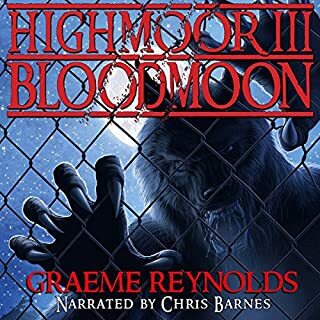 Would you consider the audio edition of High Moor 3: Blood Moon to be better than the print version? Since I haven't touched the print version, I can not say. What was one of the most memorable moments of High Moor 3: Blood Moon? The huge battle at the end. I love action like that The way those I liked, as well as disliked died - with a few living and passing on a serious message to the humans, it was the best! As previously mentioned, the battle at the end half my favorite scene. I won't give details, but a military leader got what was coming to him. If you could rename High Moor 3: Blood Moon, what would you call it? Nope- I wouldn't change a thing with the title. it fit perfectly. Paris was a property owner's paradise, a place where renters far exceeded the inventory of apartments. So why had the beautiful young French woman been so willing to offer a perfect stranger, an American, her apartment and one month free rent? Yes, there were less expensive places in the world to live, but Zack's heart was set on a place of his own in the 6th Arrondissement. And yes, it did matter that it was in this particular neighborhood, where Gertrude Stein had lived and Hemingway had walked. A Dive Into French Culture and A Mystery! What did you love best about Paris Apartment for Rent? I found great appreciation for the experience of becoming an expat with Zack. The details and explanations of culture made the story real. 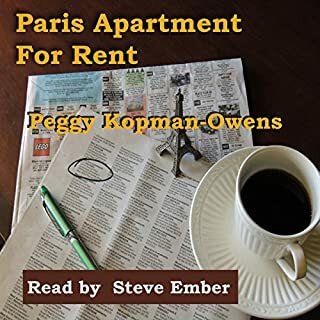 What other book might you compare Paris Apartment for Rent to and why? I honestly do not have one to compare it to. It was different and original. Which character – as performed by Steve Ember – was your favorite? Each character was quirky and carried personalities all their own. I believe Dimitri was the one I was impressed with most. He was the sort of guy I'd have loved to hang out with- except when drinking and sleeping with his feet in my face! I never listen to a book in one sitting. I'm a homeschool wife and author myself. It always takes me two to three days for an audiobook. The story was very amusing and interesting, but I feel a bit too long. There was too much information on the other characters- though it all worked out. I'll definitely be sharing it with others!